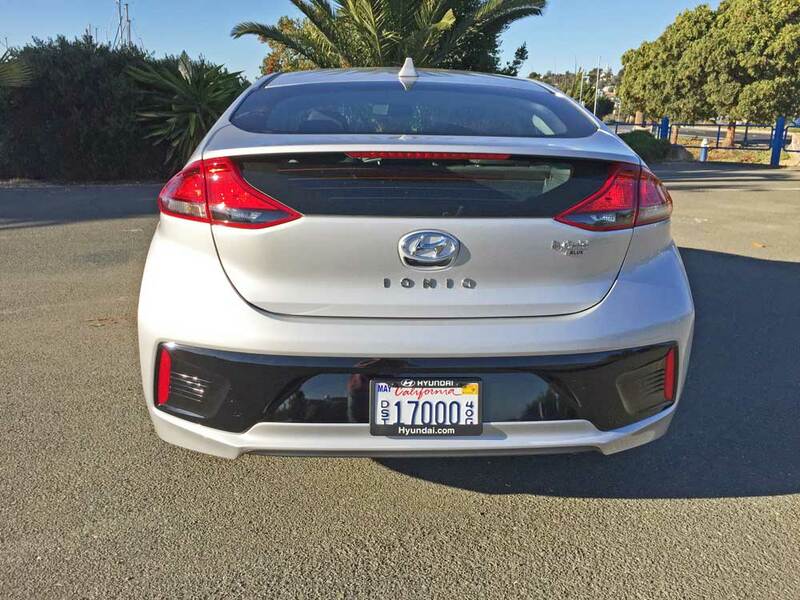 ?2018 Hyundai Ioniq Hybrid Blue? Hyundai?s Ioniq Hybrid Blue serves as the base vehicle in a series of three available models of the Ioniq: Blue; SEL; and Limited. The base or Blue model is equipped with an impressive array of features and equipment that increases with the SEL model including a special Tech Package with Automatic Emergency Braking, Smart Cruise Control and Lane Departure Warning. The top-of-the-line Limited model Ioniq?s feature and equipment list includes even more comfort, convenience and appearance enhancements. 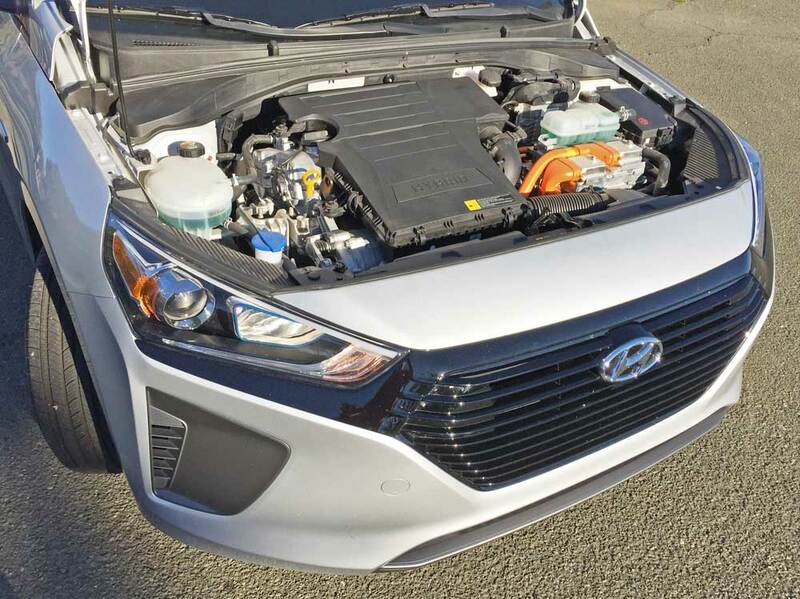 Hyundai Motor America offers the World?s first dedicated vehicle platform, with three distinct electrified powertrains on a single specific vehicle architecture. The Hyundai Ioniq Hybrids are the most fuel-efficient vehicles, while the Ioniq Electric claims the title as the most efficient electric vehicle on our shores. The Ioniq lineup provides a significant milestone in the company?s proposed worldwide sustainability program. Ioniq Hybrid models offer a sleek, aerodynamic silhouette with an industry-leading 0.24 drag coefficient. The design displays a fluid overall exterior form featuring smooth air flow channels that emphasize its aerodynamic bodylines and design shape. The sporty, hatchback-like profile complements the soft lines and surfaces tracing the car?s outline. In addition to specific Ioniq aerodynamics, further design details distinguish the Hybrid, Plug-in Hybrid and Electric models from one another, creating their unique identities. The front of the Ioniq Hybrid is characterized by the Bi-Xenon HID headlights surrounded by C-shaped LED positioning lamps. Hyundai?s signature hexagonal grille and vertical C-shaped LED daytime running lights and contrasting colors at the base of the bumper fascia add individual character and can be paired with two unique interior environments. Entering the greenhouse, the interior, in keeping with its exterior, the Ioniq emphasizes its futuristic qualities, by employing a ?Purified High-tech? design concept. A smooth, elegant and clutter-free theme and effective use of interior space complements a logical, structured approach applied to the layout of controls for intuitive operation. Materials for the interior were chosen with an ecologically-sensitive focus, creating a simple, clean look throughout, providing a sleek, light and purified feel. 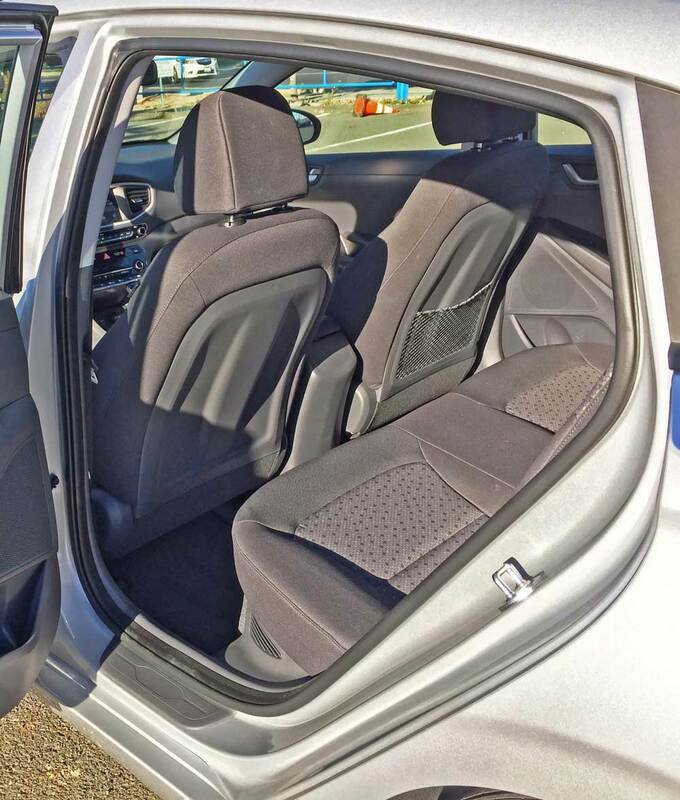 A key characteristic of the Ioniq is its innovative use of recycled or ecologically-sensitive materials. Infotainment and connectivity are covered as well with Hyundai?s Blue Link system. A high-definition 7-inch TFT information cluster that displays all gauge functions (speedometer, drive mode, fuel level). Ioniq also allows smartphone integration with the vehicle?s infotainment system by providing both Apple CarPlay? and Android Auto?. Ioniq also offers a wireless inductive-charging pad for compatible smartphones. Adding to its powertrain flexibility, the Ioniq Hybrid Blue provides advanced technologies in an appealing design form, focused on meeting the requirements of an ever increasing group of buyers in need of a highly efficient, low-emissions vehicle that?s enjoyable to drive, and that looks like a normal car without compromising their daily lifestyles. 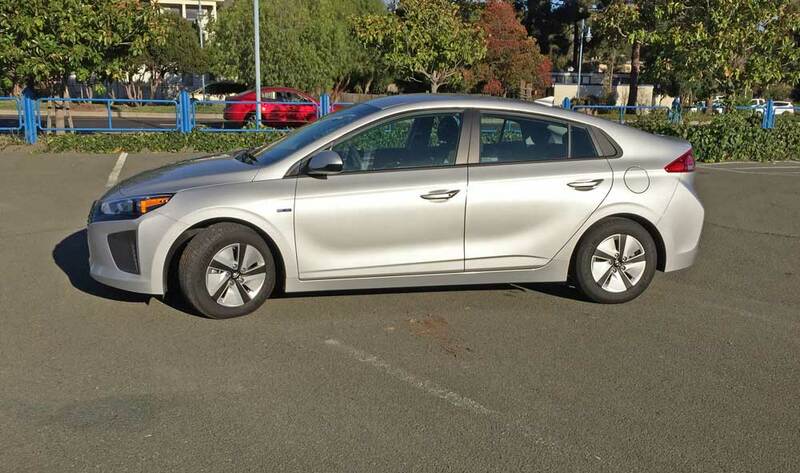 The motive force for the Ioniq Hybrid and Plug-in Hybrid models is provided by a Kappa 1.6L direct-injected Atkinson-cycle, inline four-cylinder engine with a thermal efficiency of 40 percent, that delivers 104 horsepower at 5,700 rpm and 109 lb.-ft. of torque at 4,000 rpm. The engine is specifically tuned to the hybrid application and is coupled to an EcoShift quick-shifting six-speed double-clutch transmission that gears energy to the front driving wheels. The electric motor is capable of operating at speeds up to 75 MPH, delivering instantaneous torque at low speeds, and an available power-assist at higher vehicle speeds. 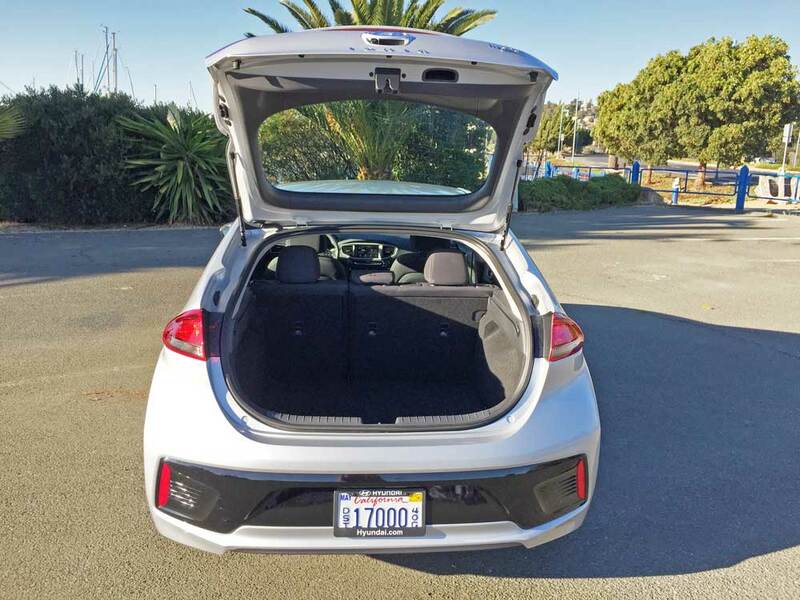 The Ioniq Hybrid?s electric motor generates an estimated 32 kW (43 horsepower) with a projected maximum torque of 125 lb.-ft., and is powered by a lithium-ion polymer battery with 1.56 kWh capacity. The battery is positioned under the rear passenger seats for a lower center of gravity. The combined total system provides low emissions, as well as impressive efficiency and range. 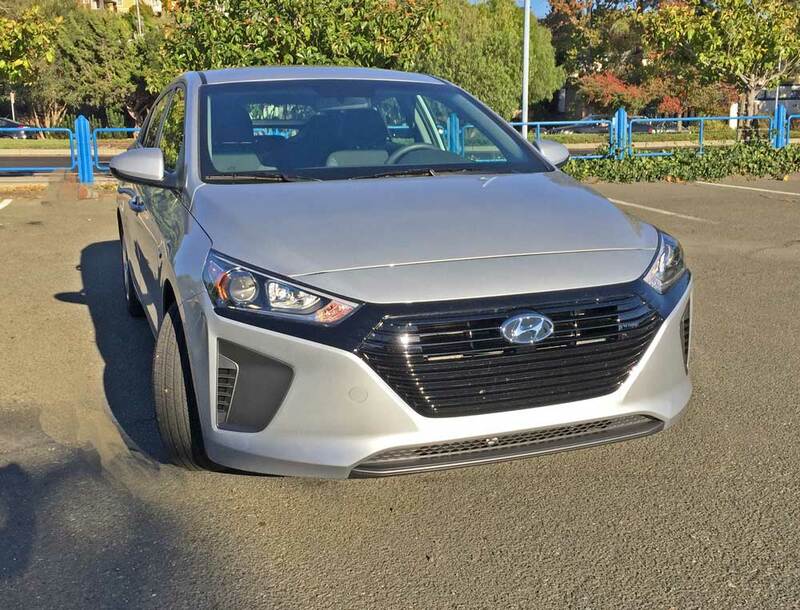 The Ioniq Hybrid Blue model?s EPA-estimated 58 MPG combined rating is the highest rating of any non-plug-in vehicle sold in the U.S. market. The cargo area is uncompromised by the battery placement, providing an estimated total interior volume of 122.7 cubic feet. The driving experience of the Ioniq Hybrid Blue is enhanced through state-of-the art connectivity features such as Apple CarPlay?, Android Auto? and Blue Link?, as well as wireless charging for smartphones. Even more, the 7-inch TFT instrument cluster displays all key driver information with outstanding resolution. Ioniq also offers the very latest in advanced safety, including Automatic Emergency Braking with Pedestrian Detection, Lane Departure Warning, Blind Spot Detection and Rear Cross-Traffic Alert, for high levels of both active and passive vehicle safety. 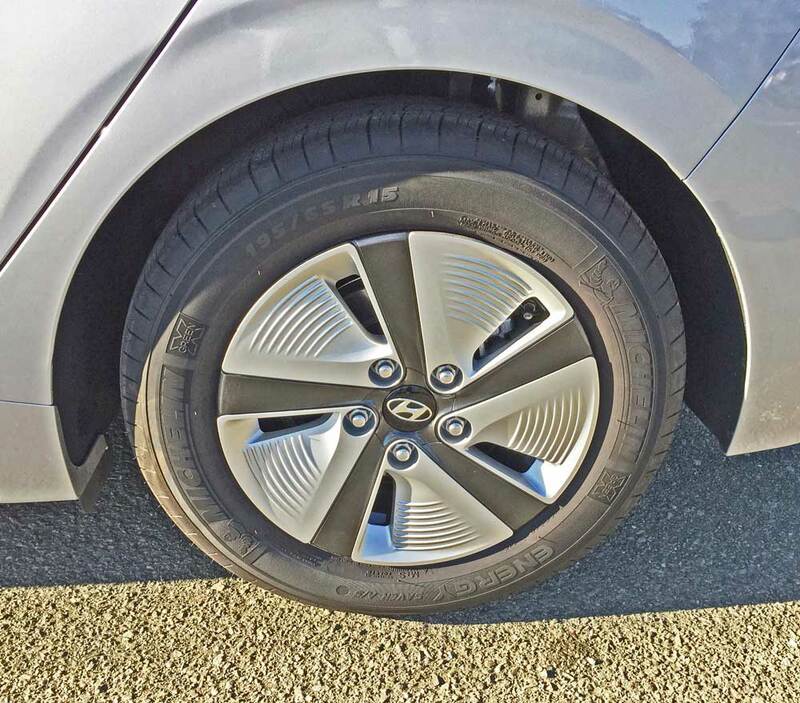 The Ioniq Hybrid Blue features specially-designed two-tone contrasting 15-inch eco-spoke steel wheels with composite covers shod with All Season Michelin Energy Saver low-rolling-resistance rubber. Innovative active and passive safety features include: Blind Spot Detection, which works with Lane Change Assist and Rear Cross-Traffic Alert, Lane Departure Warning, Tire Pressure Monitoring System, rear parking sensors and headlights with Dynamic Bending Light, Automatic Emergency Braking with Pedestrian Detection, 7 airbags and Automatic Emergency Braking. 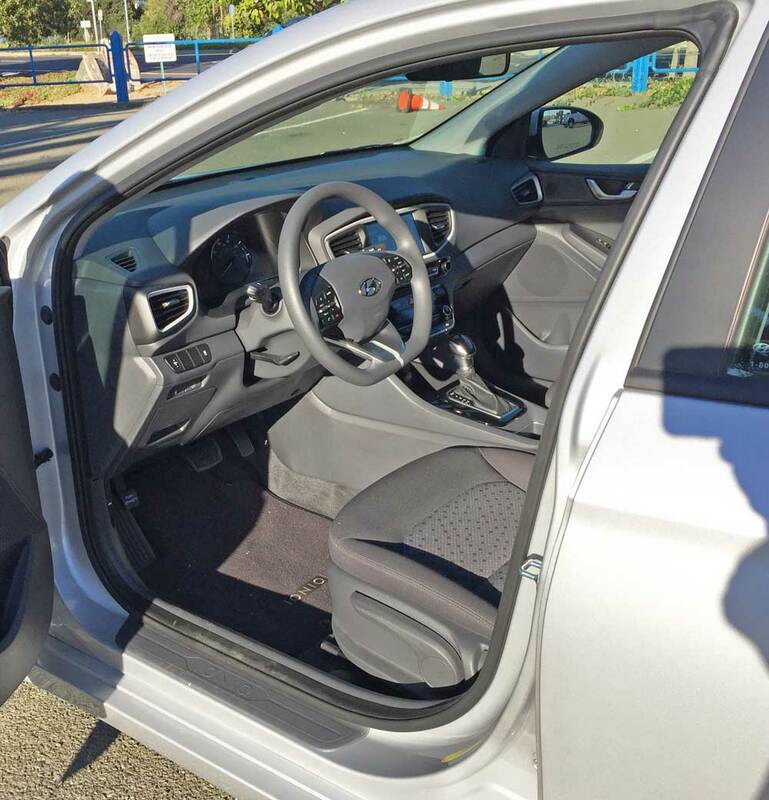 The 2018 Hyundai Ioniq Hybrid Blue delivers a driving experience that is surprisingly un-hybrid-like. The hybrid system is not obvious or intrusive. Acceleration is quick enough off the line, continuing with a smooth, linear power delivery. The handling characteristics border on sporty, with a positive steering feedback and instantaneous response. The transmission, which is thankfully not of the CVT variety, goes through real gears smoothly. The braking feel is also positive thanks to the regenerative system seamlessly blending in with the hydraulic friction braking system for a more consistent and linear feel. Unfortunately, there is no regen factor in play when coasting. The Ionic?s responsiveness and steering feedback is precise and on-center, with a quick ratio. Braking force is optimized for maximum efficiency from the regenerative braking system, helping Ioniq maintain a steady state of charge. Regenerative braking also operates with reduced noise, utilizing a recuperating stopping system. Regenerative braking force may be adjusted to the driver?s preference and driving conditions through steering-column-mounted regenerative brake-level control paddles. An Integrated Brake Assist Unit and Pressure Source Unit contribute to a quiet operation. 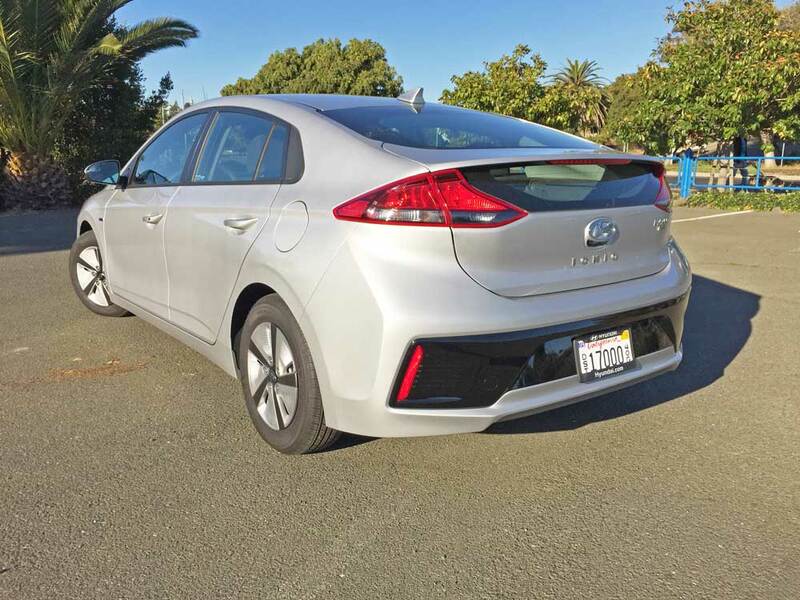 Bottom line, the 2018 Hyundai Ioniq Hybrid Blue delivers a driving experience that is surprisingly un-hybrid-like. The hybrid system is not obvious or intrusive. It Is easy on the eyes, along with being compact and maneuverable. It?s wagon-like form make this urban hybrid crossover not only affordable, but versatile and practical, as well. This latest iteration Hyundai Ioniq Hybrid promises to fare well in the Hybrid marketplace, which is steadily growing. Will this trend continue? We?ll have to wait and see. In any case, the Hyundai Ioniq does what it?s supposed to do on all levels, and the hatchback form is a welcome plus. All new Hyundai vehicles sold in the U.S. are covered by Hyundai?s Assurance program, which includes a 5-year/60,000-mile fully-transferable new vehicle limited warranty, Hyundai?s 10-year/100,000-mile powertrain limited warranty and five years of complimentary Roadside Assistance. Electric Motor: Interior-Permanent Magnet Synchronous Motor. Transmission: 6-speed EcoShift Dual Clutch. Drive Train: Transverse mount front engine / Front-wheel drive. Suspension: Front – MacPherson strut. Brakes: Power-assisted Active Hydraulic Boost system four- wheel discs (vented front) with regenerative braking with motor polarity reversal. Tires: Michelin Energy Saver -195/65 R15 A/S mounted on steel wheels with 5-silver swirl and 5small black spoke composite covers.